In the last edition of IEN, we published the results of a recent survey that evaluated how machine operators use oils and greases to improve the productivity of their machinery. Worryingly, the results indicated that there is still a great deal of uncertainty over best practice for correct grease selection. This month, Mohamed Mourad, Industrial Marketing Advisor, EAME, at ExxonMobil Fuels & Lubricants, answers some frequently asked questions about correct grease selection and why it is so important for equipment performance and the productivity of an operation. IEN: What is the starting point when judging the best grease to choose to apply to machinery? Mourad: A simple way to think of grease is to consider it like a sponge soaked with lubricating oil. Upon application of external stresses, such as heavy loads or high temperatures, the thickener (sponge) releases the oil to lubricate the mechanical parts. When the stress is removed, the thickener re-absorbs a portion of the released oil for later use. At the outset, reviewing performance properties is essential. Properties exclusive to grease include dropping point, mechanical stability, water washout, bleed characteristics and pumpability. The most important performance properties are determined by the type of application you are looking to protect and optimise. Greases are designed to have a balance of properties, which means it is important to consider each property's significance relative to the intended applications to select the best overall fit. IEN: What are the most important factors that should be considered when selecting a grease? Mourad: The first factor to keep in mind is selecting a grease with the appropriate viscosity, which is the fundamental characteristic of a grease. For example, the high performance Mobil SHC Series greases have viscosities ranging from 100 to 1500. The higher viscosity greases are usually more water resistant and help improve heavy-duty or high load applications. A lower viscosity grease will have enhanced pumpability, and therefore effectiveness to protect equipment, when operating in low temperature conditions. The additive technology contained within a grease should be the next factor to be considered with the application in mind. Most performance-enhancing additives found in lubricating oils are also used in grease formulation and should be chosen according to the demands of the application. 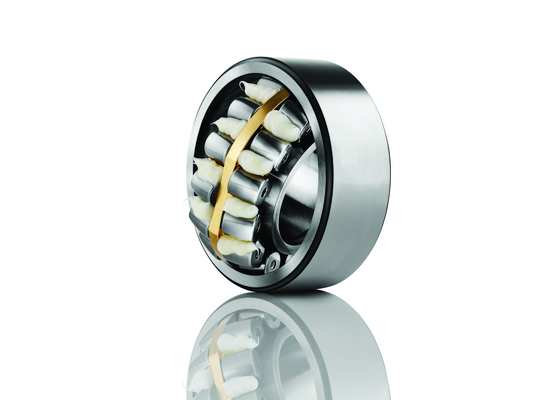 For example, a heavily loaded open gear set would require extreme pressure (EP) additives, which would not be required to optimise performance of lightly loaded high-speed elements. Grease consistency is a further factor that must be analysed. Thickener type should be selected based on performance requirements as well as compatibility when considering changing product types. Each thickener brings certain performance benefits affecting elements such as water resistance, pumpability and ability to operate in high temperature conditions. Mobil SHC Series greases, for example, contains Lithium Complex thickener, which helps ensure excellent performance in this areas. IEN: When should companies use grease versus lubricating oils? Mourad: There are many applications where greases are recommended over lubricating oil. In many cases, greases are applied instead rather than fluids where a lubricant is required to maintain its original position in a mechanism. This is especially the case where opportunities for frequent re-lubrication may be limited or uneconomical. This requirement may be due to the physical configuration of the mechanism, type of motion, type of sealing or the need for the lubricant to perform all or part of any sealing function in the prevention of lubricant loss or entrance of contaminants. Due to their solid nature, greases do not perform the cooling and cleaning function associated with the use of an oil. With these exceptions, greases are expected to perform all other functions of a fluid lubricant. IEN: We are looking to find ways to better manage maintenance and replacement costs. Could grease selection play a role here? Mourad: Regular maintenance and machinery replacement costs have a significant impact on a business's bottom line. Selecting the most effective lubricants and greases to both protect and enhance the performance of your machinery can plan an important role in reducing these costs in the long term. Firstly, selecting a grease that is able to work effectively under your specific operating conditions and offer enhanced machinery protection will help you achieve long term cost savings. ExxonMobil synthetic oil-based greases, such as the Mobil SHC Polyrex Series and Mobilith SHC Series, are scientifically engineered to provide excellent equipment protection. They offer controlled release of lubrication, providing just the right amount to release for extended protection. They stay where they are needed, making them easier to use while helping control maintenance and replacement costs. High leakage rates are likely to result in higher maintenance costs, health and safety issues and may lead to increased unscheduled downtime due to the reduced amount of grease in the system failing to provide adequate protection. The frequency of re-lubrication is also a factor, with some lower quality greases that leak from a system, or become ineffective to protect machinery, requiring additional maintenance and possible downtime to replace. IEN: Our machinery is operating 24/7. How can we look to maximise productivity and reduce unscheduled downtime? Mourad: Maximising productivity can be achieved in a number of ways, such as reducing maintenance and extending equipment life. Grease selection can play a key role in achieving these goals. For example, the Mobil SHC Polyrex Series, which is proven to be a high performance grease in the food, paper and plastic industries, are specifically formulated to improve productivity by solving high-temperature lubrication problems. They are designed to offer high-temperature performance, excellent water resistance and balanced wear performance. IEN: Our machinery runs at very high operating temperatures. What impact does this have on grease selection? Mourad: Operators that have to manage high operating conditions require greases that are specifically designed to ensure consistent performance and longevity in such conditions. In high temperature applications, there is a risk that the wrong choice or low quality grease may perform poorly due to degradation resulting from thickener and base oil oxidation, or due to the loss of base oil from grease bleed and evaporation. Oxidation is a chemical reaction that occurs between oxygen and the in-service lubricant, and is accelerated in high temperatures. 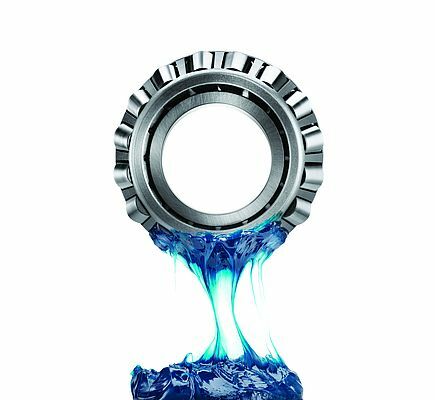 Greases that do not have effective viscosity and oxidative resistance can have limited ability to provide lubrication at higher temperatures. Typically, greases with synthetic base oils can provide a wider operating temperature range than conventional, mineral-based greases. For example, the Mobil SHC Polyrex Series is a range of high performance, synthetic bearing greases that uses advanced polyurea thickener technology in order to achieve excellent high temperature performance up to 170°C. Even at these extreme temperatures, the polyurea thickener technology resists oxidation and loss of structural stability allowing re-lubrication intervals to be extended while maintaining equipment protection when compared to competitor mineral oils. This carefully balanced combination of thickener, base oils, and additives yields a grease that can help increase bearing life and reduce downtime and provide excellent water resistance, wear and rust protection. IEN: We experience issues with leakage, with grease running out of our machines during operation. How can this be avoided? Mourad: Grease leakage is a common challenge faced by engineers, caused by a range of factors such as seal failures under high pressure or temperature, incompatibility of the seal with the grease or mechanical misalignment. Unnecessary higher leakage rates can result in additional grease costs and reduced grease in place to adequately protect machinery, both resulting in increased maintenance requirements and potential extended downtime periods. There are two key ways to minimise grease leakage. The first is to undertake a complete system inspection to define leakages and take necessary action such as renewal of seals, changing seal types or maintaining seals. This can cause issues with the considerable equipment downtime that would be required. The second, and more efficient, method is to apply a high quality grease with strong adhesive properties. For example, the Mobilgrease XHP Series, used across a wide range of industrial applications, are formed of a highly adhesive and cohesive structure, delivering excellent grease tenacity, decreased leakage and re-lubrication intervals which all support reduced maintenance requirements and increased productivity. IEN: We are considering upgrading the grease we apply to our machinery. Is there any grease compatibility issues we should consider? Mourad: When changing from one type of grease to another, we would recommend it is best practice for engineers to seek guidance from an expert lubricant supplier. This will help ensure that operators receive the right product for their application and that they have the technical support required to undertake a seamless grease upgrade successfully. At ExxonMobil we often recommend compatibility testing when considering changing greases. To help ensure engineers can reap the maximum benefits and performance delivered by high quality ExxonMobil greases, a clean out the application, removing the 'old' grease, can be recommended ahead of changing to the new grease. Given the long term enhanced protection and cost-savings that can be enjoyed through high quality greases, operators are seeing the benefits of upgrading their industrial greases.